Semi-trucks, tractor-trailers, and 18-wheelers are much heavier than any sedan or sport utility vehicle. These trucks are capable of causing a massive amount of damage when involved in an accident with a typical automobile. Truck accidents are often very serious and costly. Regardless of the extent of your injuries, you need a dependable truck accident lawyer to protect your rights. Truck accident lawsuits require an analysis of factors that are not often seen in other claims. When dealing with truck accidents, attorney Anthony Castelli evaluates the number of hours the driver has been on the road, both on the day of the accident and throughout the week. He also considers the weight of the truck as well as how this weight was distributed. Various state and federal laws and regulations apply to trucking companies, truckers, and the insurance providers. A driver may be permitted to drive between 10 to 15 hours, depending on a variety of circumstances. An experienced truck accident attorney like Anthony Castelli can sort through the relevant facts and applicable laws to establish your claim. A truck should be thoroughly inspected before every trip. This inspection should include top and bottom lights and reflectors, as well as all mirrors and windows. The truck's entire engine compartment should be inspected, along with the drive axle and trailer axle. If the truck driver was negligent in his pre-trip inspection, he may be held liable for damages. An experienced truck accident attorney like Anthony Castelli recognizes the proper procedures involved in a truck inspection and how they relate to your truck accident claim. Knowledgeable truck accident lawyers understand truck laws and regulations, as well as how these laws apply to your lawsuit. Our truck accident attorneys have experience in dealing with trucking companies and their insurance companies. 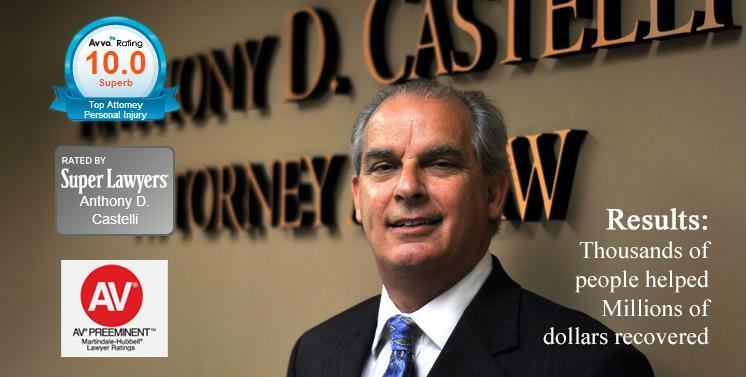 Anthony Castelli has represented individuals involved in truck accidents in Cincinnati and throughout Ohio, and he will work tirelessly to get you the settlement that you deserve. 1. Have a complete medical examination. Some injuries may not be noticeable. However, injuries could be life threatening if not treated. 2. Contact an experienced truck accident attorney. 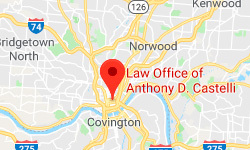 If you or a loved one was hurt in a trucking accident in Cincinnati or anywhere in Ohio, please call 513-621-2345 or e-mail us to speak with our Ohio truck accident attorney Tony Castelli.